I promise you, promise you, the homemade crust is the easiest thing EVER. 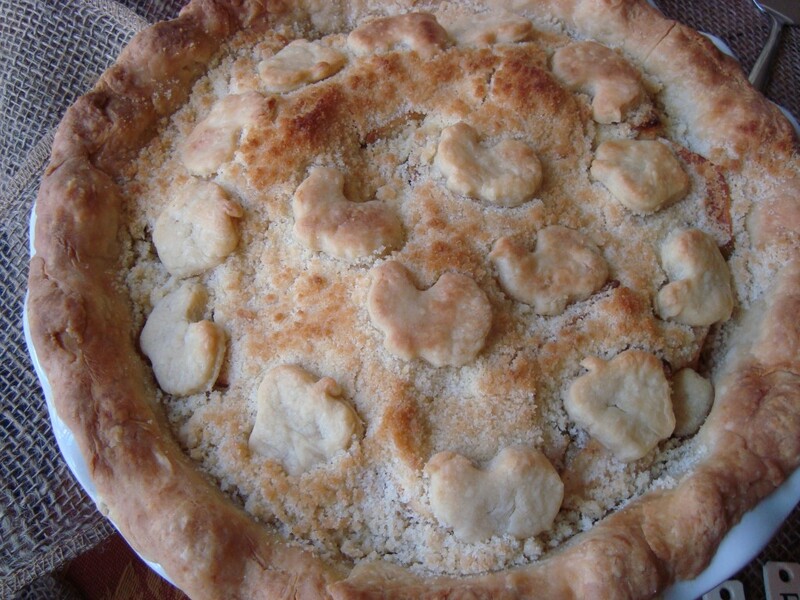 I made my first apple pie semi from scratch (store bought crust) back in 2007. Back then I followed a recipe to the tee, now I eye ball it. I literally grab the sugar and just throw it over the apples, add as much cinnamon as I think is good, and a dash of nutmeg. 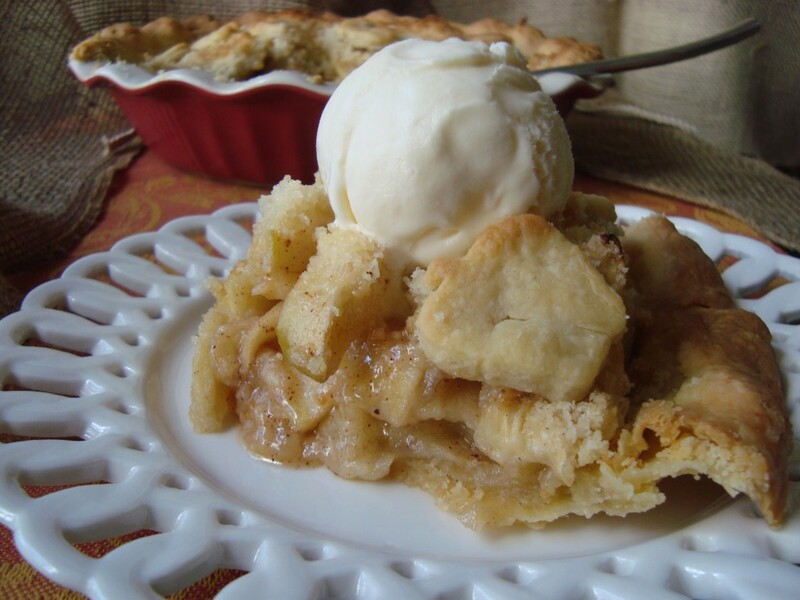 When I decided to make apple pie, I searched for a crumble topping, I was hoping to imitate the Dutch Apple Pie from Mrs. Smith. She’s one good baker. I’m sure some foodie just fell of their chair. Yes, I bought and put in the oven Mrs. Smith’s pies. Not that there is anything wrong with that. But that was, well, before I got bit by the suzy homemaker bug. Once that happened, I wanted to make things from scratch. I took baby steps, I started with the filling, then the crumble topping (I don’t recall where I found the crumble topping), but I’d always buy the pre-made pie crust. I was afraid of what it entailed to make pie crust fresh at home. I just thought it was so complicated. Something that tastes that good can’t be easy. Boy was I wrong, and BOY AM I GLAD! I will never, ever-ever, purchase another pre-made pie crust. Using a large cold bowl (I used glass bowl), make sure the bowl is cool or room temperature. Mix the flour, sugar, and salt. Add the cold butter pieces, and using a pastry cutter cut the butter into the flour. Until the flour looks like sand with small pea size balls. Place the water in a measuring cup. Using your hand, sprinkle a little bit of the water unto the flour mixture. Fold it into the dough, until combined. Continue adding a little bit of water at a time until you can form the flour mixture into a ball of dough. I used all the water to achieve a dough. Make two discs shaped doughs and wrap them in plastic wrap. Let them “rest” in the refrigerator for at least 1 hour. I prepared the dough the morning of my pie baking The recipe provides you with enough dough for two 9″ pie crusts. But it gave me enough to cover a standard ceramic pie baking dish I have, plus a little extra for decoration. When ready to use, dust a little bit of flour on your counter or wood cutting board. Remove the dough from the plastic wrap and using a lightly floured roller, roll the dough out to about 1/2 inch thick circle. Flipping the dough over once or twice as you roll, to make sure it doesn’t get stuck to the counter or cutting board. Dust with additional flour if needed to prevent sticking. Peel, core, and slice the apples into 1/2 wedges. Grab a large bowl, add the apples wedges, sugar, vanilla, cinnamon, juice of the lemon, and nutmeg. Stir to mix, set aside. Let the apples rest in the sugar mixture for at least 15 minutes. At this time, place the pie crust in your dish and “blind” bake it for 10 minutes until lightly tan. Covering the rim with aluminum foil while baking. Remove from the oven and let it rest a few minutes. Grab your prepared pie dish with the homemade butter crust. 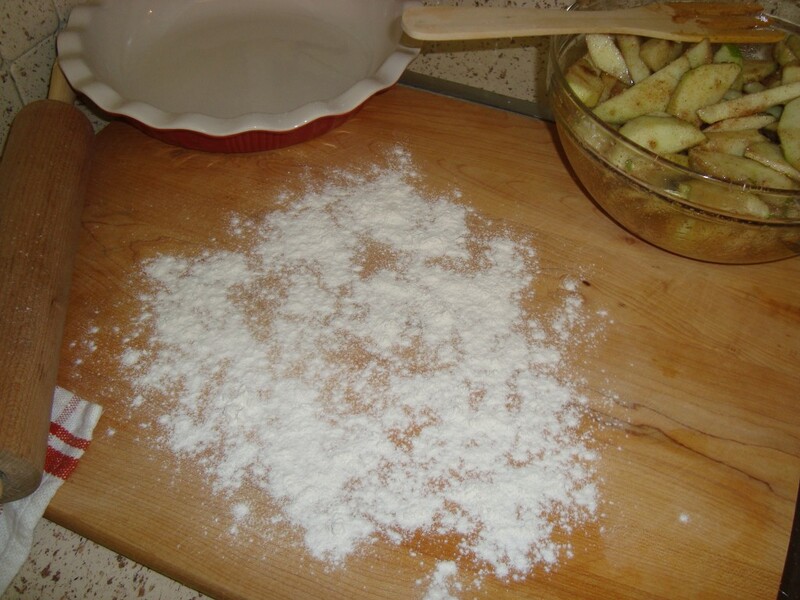 Stir your apples one more time, then using your hands, grab each wedge and place it in the pie dish. Placing the round side facing the back of the dish edge. 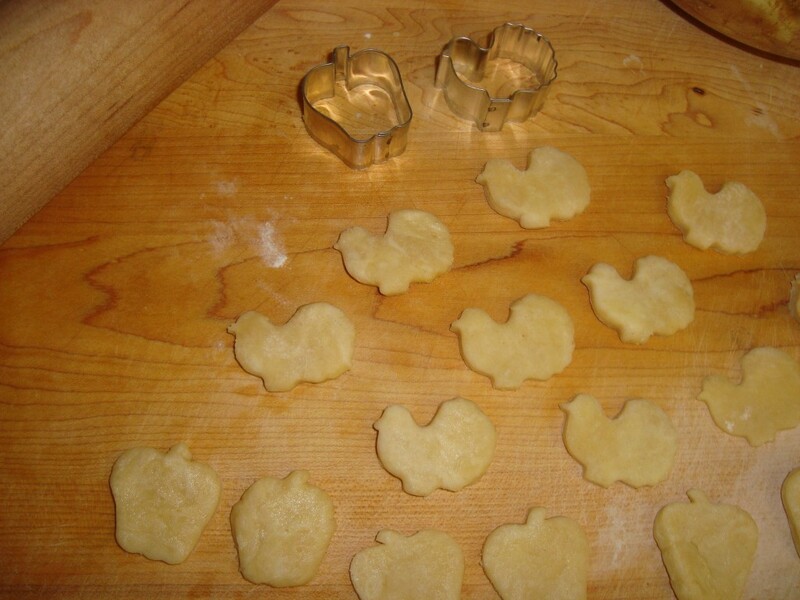 Arrange them around the pie dish to form a “ring”. 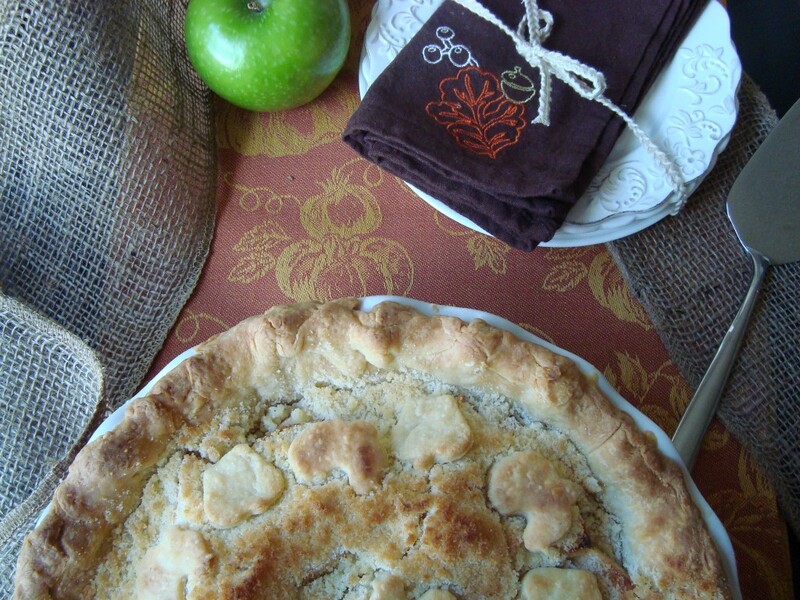 Continue placing apples around the pie dish, filling in where you can. You should be able to use all the apples. Do not add the sugary juice left in your apple bowl. That will water down the pie. 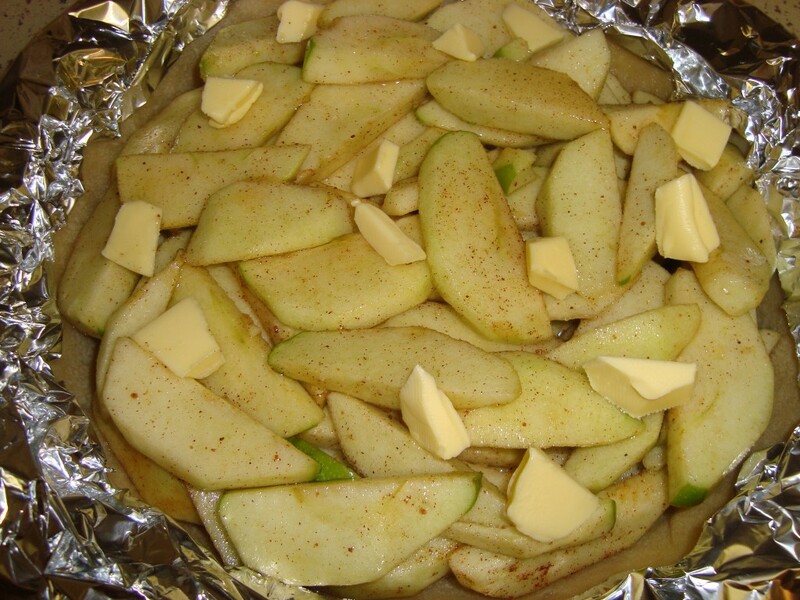 Add small dabs of butter on top of the apples. Bake the pie for 20 minutes, with aluminum rim still on. While you prepare your crumb topping. Crumb Topping: In a separate large bowl, add the flour, and sugar, mix until combine. Now grab the butter, using your knife cut it into pieces. Add to the flour mixture, and using your hands rub the flour and butter together. Keep “rubbing” until a crumbs begin to form and all the flour is coated with some butter. 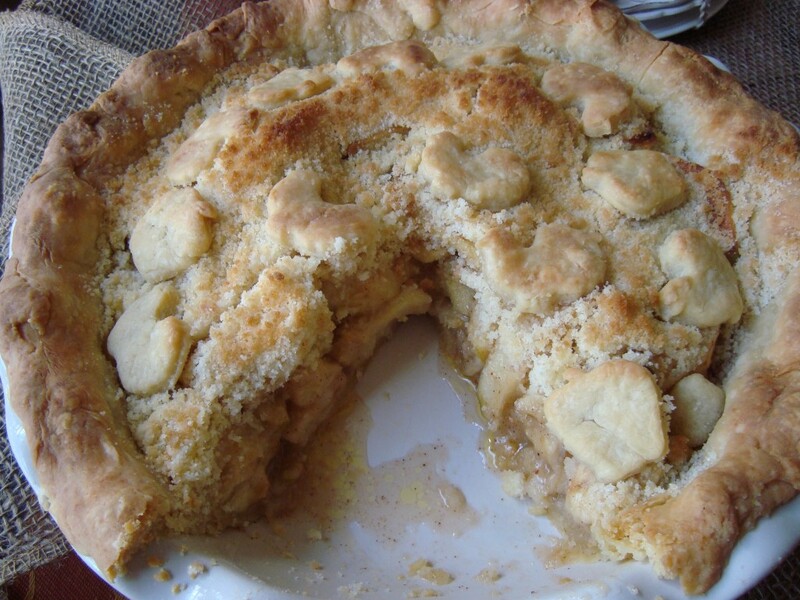 Remove the apple pie from the oven and coat with the crumb topping. Place it back in the oven, removing the aluminum rim on the edge of the pie. Bake for an additional 10-15 minutes until the topping and pie edges are lightly brown. If the pie rim is baked, but the crumb topping still is not as brown as you’d like. Place the oven in broil and watch the pie like a hawk. It will brown the topping quickly. Now grab vanilla ice cream and serve it up!